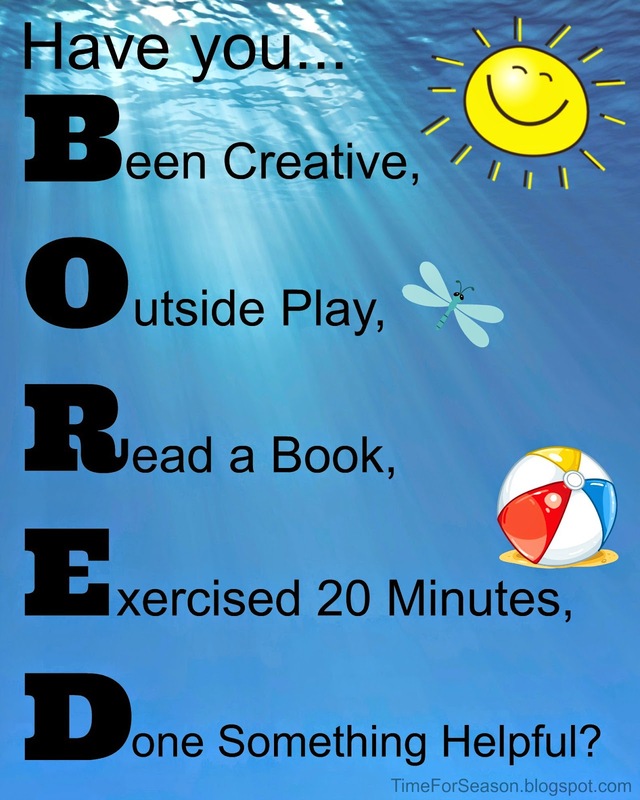 It's Summer so you're almost guaranteed to hear these words: "Mom! 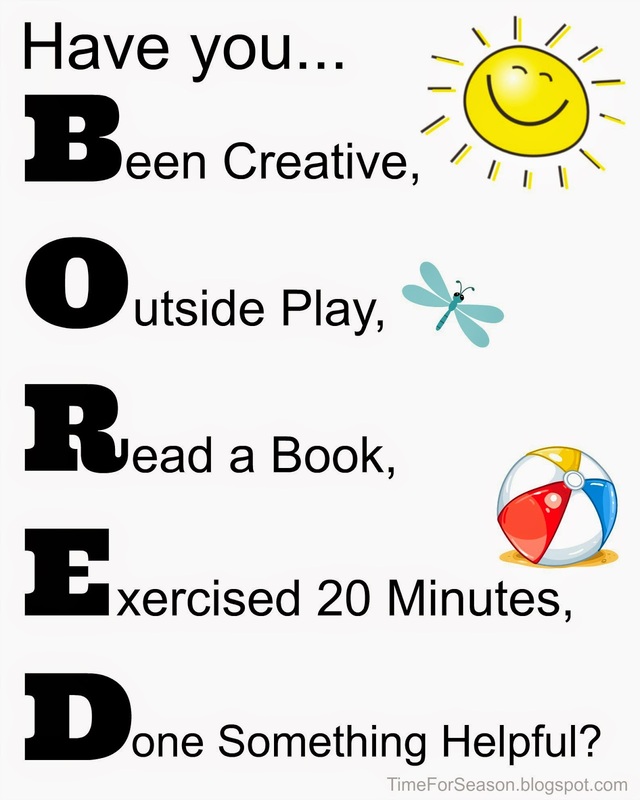 I'm Bored!" 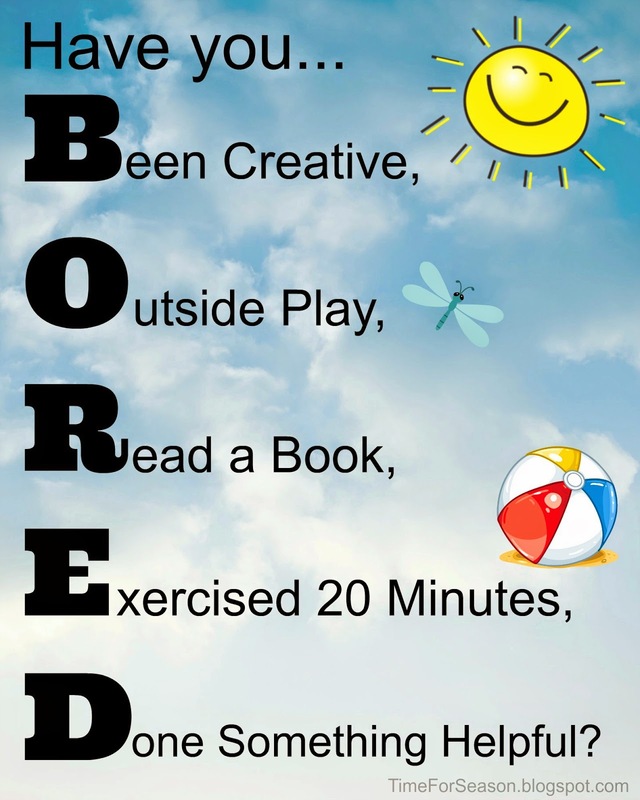 Next time you hear this, use this check list to help banish the boredom. 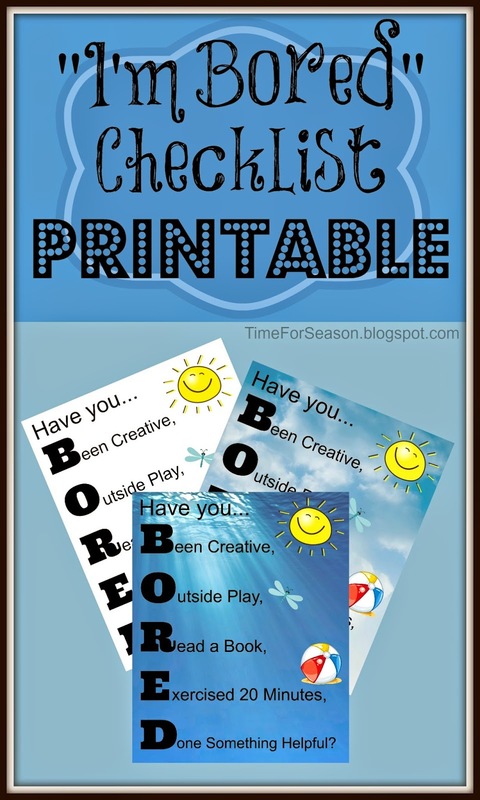 I have made 3 versions all perfect for display in your house this summer. If you are useing this printable for personal use, you are welcome to crop the watermark off the bottom. If you are sharring or linking these, please leave the watermark intact. Thanks! !